The Cloud plain seating booth has a tactile, pillowy surround that is designed to invite you in and comfort you while not taking up lots of precious floorspace. 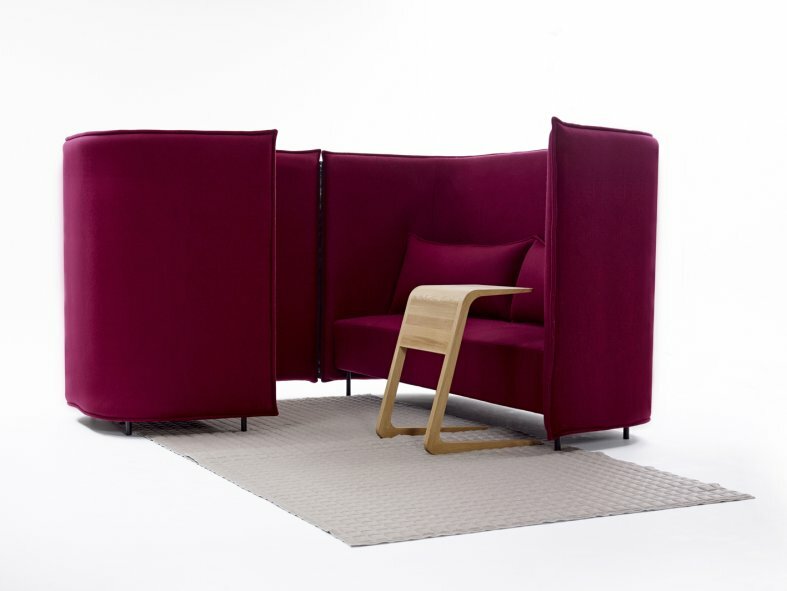 Ideal for somewhere to shelter, meet or simply relax, the cloud booth has a magnetic pull. 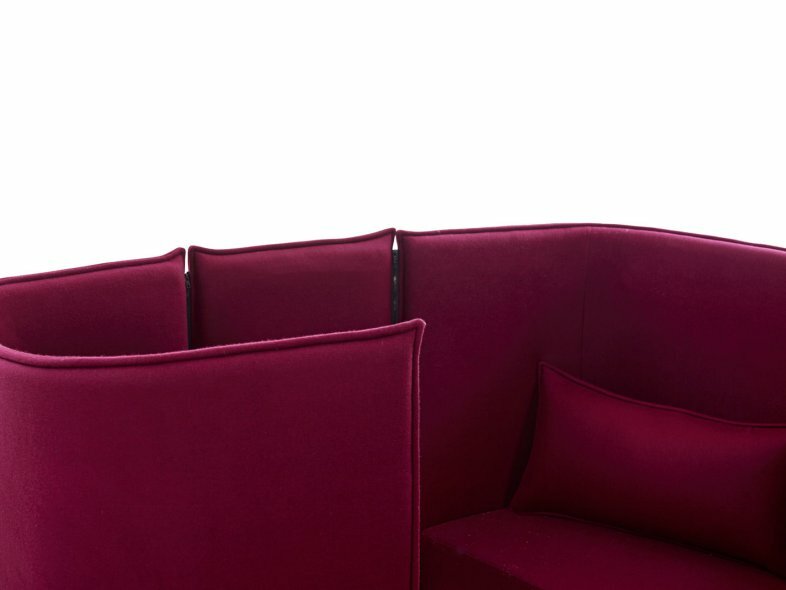 The cloud plain upholstery range consists of various chair and sofa sizes and is available with high or low backs and a simple zipped-in screen to create the booth seating areas. The Cloud plain signature quilting has a Dacron core and can be applied to most upholstery fabrics. The quilting is then layered over woollen felt, which, in turn, is layered over a tubular steel frame with dense foam inserts. The seating area is steel framed with a plywood substructure. The back cushions are feather and synthetic fibre filled and the seat foam is CMHR.